Whether adding a country accent to modern rooms or a touch of class to rustic spaces, one thing is for sure about burlap—it's not just for potato sacks anymore. In the DIY decorating and design worlds, burlap is trending in a big way—and why shouldn’t it be? Burlap’s neutral color and earthy texture are at home in so many spaces. Plus, it’s versatile: You can dress it up or dress it down. And best of all, burlap is easy on the wallet. Here are a few easy ways of putting it to use. Looking for a non-traditional approach to making wreaths? Well, one advantage of burlap is that it will never wilt! Ornament the wreath with a sprig of fresh flowers, pine cones, or a colorful bow—whatever you’re in the mood for. 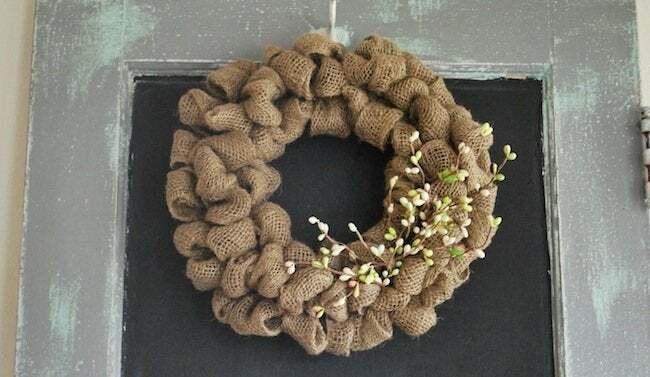 Or swap in something new every season so that your wreath works all year long. 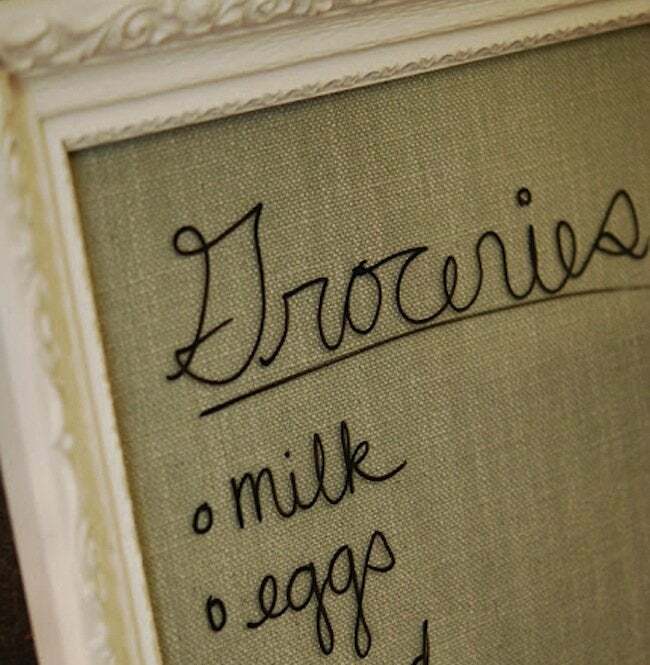 A secret many don’t know is that dry-erase markers work just as well on glass as they do on specialized dry-erase boards. To assemble your own instant memo board, cover a piece of cardboard with some burlap, then pop it into a pretty frame behind a pane of cut-to-size glass. Voila! Simple elegance doesn’t get much simpler. 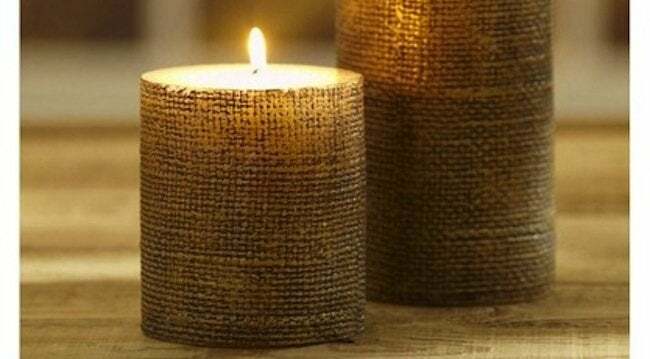 Knock off designer candle decor using only burlap and some basics, such as glue and paint. In a fancy store, you could easily pay $40 for a candle like this; by comparison, this project would cost you almost nothing to complete. Step one: Use stencils or another paint application to embellish your burlap with either one color or a multitude. Step two: Fringe the ends for rustic flair. That’s it! 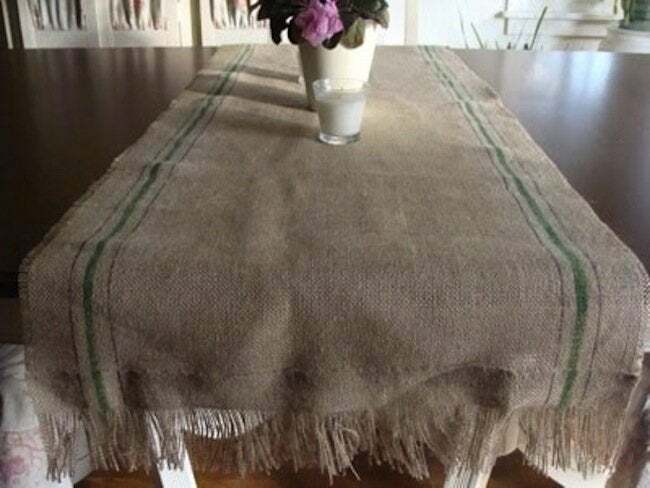 Indeed, there are few easier ways to accent your dining room than with a handsome, homemade burlap table runner like this example from An Oregon Cottage. 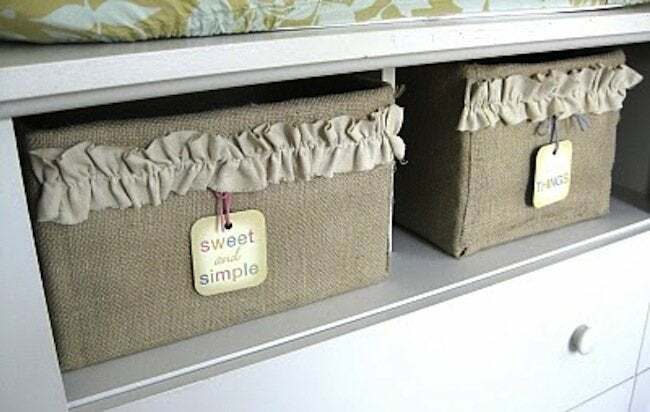 Hot glue and burlap are all you need to turn sturdy cardboard boxes into better-than-average storage bins. As an added flourish, include ruffled ribbon remnants. Has recycling ever looked so great?